Everyone is beautiful! So soft, tasteful, and uniquely YOU. Thank you for sharing these. I'm working on baby quilts for twins right now. Ils sont beaux Christine ! Bravo ! Ils sont tous très beaux mais j'ai un gros coup de coeur pour les nine patch ! 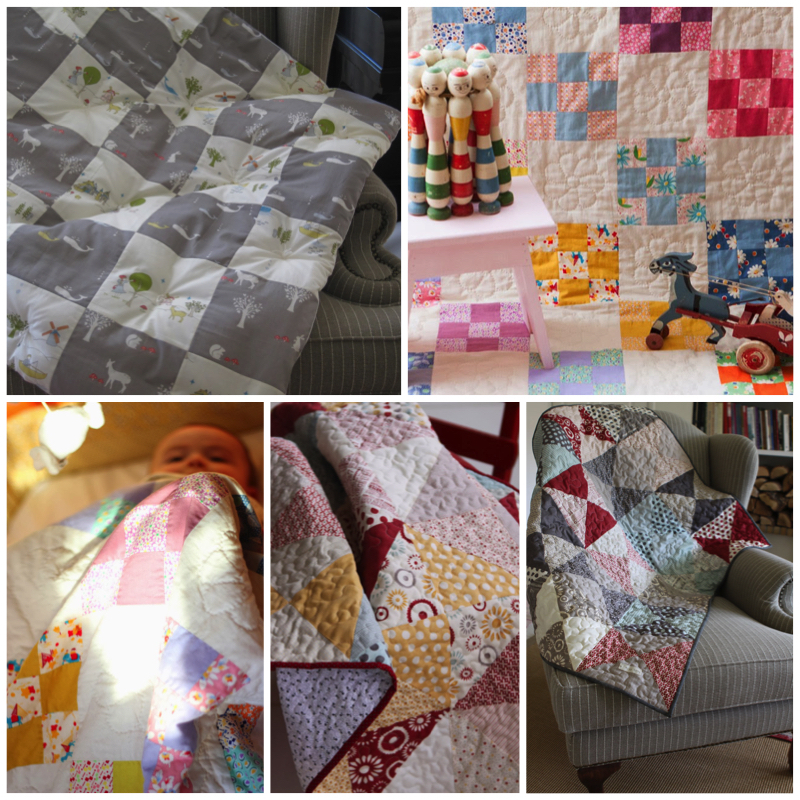 Your baby quilts are wonderful! The fact that you used grey fabrics really softens these quilts. I would not have considered using any fabrics but bright and cheerful for a babies quilt. Yet, just looking at the results that you have created, really makes me want to explore using these color choices. Thank you for sharing and inspiring me to try something new! Have a great day! J'aime beaucoup le nine patch et le log cabin. So much great inspiration Christine! Trying to pick a favorite here but I can't. They are all truly lovely. Very nice work, Christine. A lovely selection of special gifts. I think the first grey and white one is my favourite. I just bought fabric for a chevron baby quilt today. 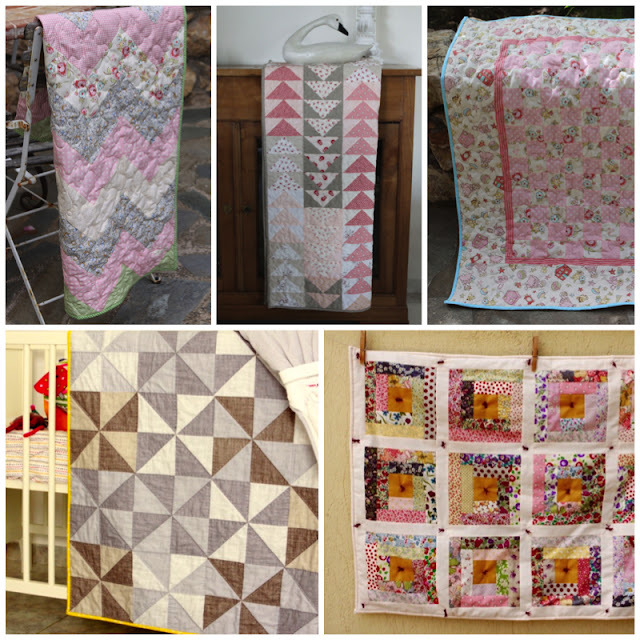 What a beautiful collection of baby quilt - I especially love the pink and grey quilts. I love to make things for babies, they give you a licence to be as cute as you like :-) What an adorable selection.